Over the next few years we’re going to see several new models of cars that we admire and want to drive offered on the market, from BMW, Cadillac, and more. The model years between 2019 and 2022 will bring us a variety of excellent new choices that will give us the drive we admire and show off with performance or qualities that we’ve been clamoring for over the past several years. Here are just a few of the cars, trucks, and SUVs that we’re going to be presented with that can make driving more fun and exciting for us in the near future. Long, sleek, and filled with the highest level of luxury features we can find in any vehicle, the BMW 8 Series is going to be a car that can take on the other top luxury models and come out as the winner. This car will wear a four-door coupe body shape with the long hood of a sports car and the short rear deck that makes this one of the most elegant performance models for the drive. The changes that are being made in the Cadillac lineup have had a focus on the SUV models for the last couple of years, but this future pair of models will be the smaller sedans to fit in the lineup below the current CT6 that’s offered as the flagship model we love to drive. 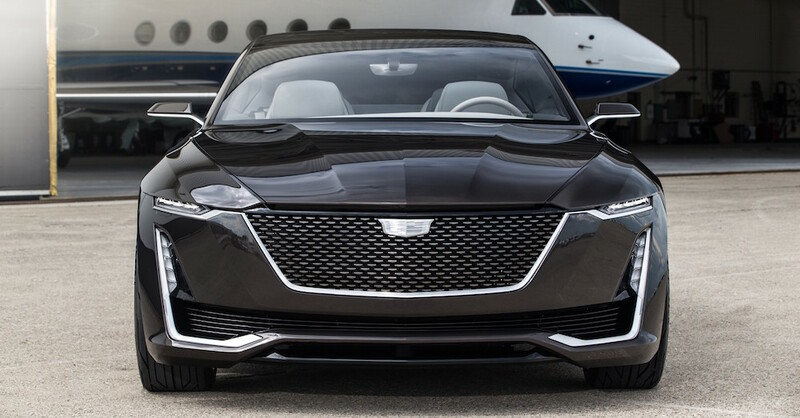 These cars will certainly be built with the style, the sharp design and the power you expect in Cadillac models to be the pure American luxury you want to drive. Finally, the long-awaited mid-engine Chevrolet Corvette will make its appearance on the market and be the car that can take on the European sports cars. You can expect this to be the most expensive production model of the Corvette ever built but to also be a car that you can easily admire and enjoy when it’s time to get out on the track and have a fast lap. There will still be the regular Corvette as well, but the new mid-engine design is what we look forward to. Following the 2019 Ford Ranger, the new Bronco will be the first SUV to attempt to take on the Jeep Wrangler in a long time. This SUV is going to look a lot like the Bronco of old with the right body style and proportions to be the off-road beast that can show off the qualities it has when it goes out on the trails or takes off through the wilderness for a weekend of fun and active driving. This new model from Genesis will represent the first of the original models offered from this luxury brand that’s only been around for a few years. This car is to be the sports sedan that we want to experience when it’s time for a drive on the roads that we travel. This will instantly boost the credibility of this new brand to make sure we can have a few models to choose from. Growing the Genesis name is an important part of the future for this brand to make sure we can see how it will take on the names we know and give us more of what we’re looking for when it’s time to drive. The GT90 will sit at the top of the lineup from Genesis and give us a strong coupe that has a long build and the qualities we’re ready to enjoy on the road. As one of our favorite small cars on the market, the plan for the Mazda3 is to bring us more power and more efficiency along with the modern technology we expect to see in this car when it shows up to be the one that will give us the experience we’ve been searching for. Hold onto your current small sedan and wait just a couple years and this will be the right car for you to drive. It’s about time the Frontier receives an upgrade and for the 2020 model year it finally will. This new model will mark the first redesign for the Frontier since 2004, making it one of the longest names offered with a sixteen-year generation of the truck that’s been an easy choice for off-road driving and the dynamics you want when you head out on the road every day. We haven’t had a truly off-road built Toyota in a while, but this model will be the one that will give us what we’ve been missing since the FJ Cruiser left the market. This may be a model that can challenge the Wrangler and Bronco when it’s time to head out for the drive around the wilderness.